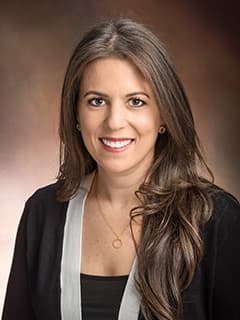 Karen Blanc Friedman, PhD, is a Psychologist in the Department of Child and Adolescent Psychiatry and Behavioral Sciences at Children's Hospital of Philadelphia. Danzer, E.,Thomas, N.H., Thomas, A., Friedman, K.B., Gerdes, M., Koh, J., Adzick, N.S. & Johnson, M.P. Long-term neurofunctional outcome, executive functioning, and behavioral adaptive skills following fetal myelomeningocele surgery. American Journal of Obstetrics and Gynecology, 214(269) 1-8. Friedman, K.B. Cultural Considerations in Health Care and Research. Guest lecture delivered at the Drexel School of Medicine.